Not long ago this was where I lived, in an old apartment building by the Nashua River, with my thousands of books, the collected treasures of a scholarly lifetime. To someone who loves books, each volume is a distinct individual. You don’t have a copy of Emily Dickinson’s Letters . You have a copy of Emily Dickinson’s Letters that was purchased at the Dickinson centennial symposium in Amherst with the symposium schedule laid in. You don’t have a run of a scientific journal. You have a run of a scientific journal that you inherited from your college advisor, who had in turn inherited it from his college advisor a generation before. Book collectors never think of “our” books as ours to own—we are only their caretakers pro tempore, doing our best to keep them safe so they can be passed on someday to caretakers yet unborn. When a book doesn’t outlive its owner, the right order of things is broken. The fire began in the attic, three floors above, and quickly spread into the century-old timbers supporting the roof. The light wells had that brought illumination to the interior corridors of the building now acted as chimneys, drawing air to the upper floors to feed the flames. Within thirty minutes the city fire chief had sounded four alarms, and then six. Demand on the city’s mains was so great that the firefighters had to run their lines down to the end of the street and pull water directly from the river. Like ancient Scamander surging against the God of Fire on the Plain of Troy, all night long the Nashua surged a hundred feet into the sky, elemental force contending with elemental force. By dawn, Water had conquered Fire and the river fell back to its course, carrying along with it the dissolved debris of fifty homes. The next day, in the sun, Rough-winged Swallows were skimming and darting along the Nashua’s banks, and the Phoebes were tending their nest under the bridge as they do every summer. How I wish I were one of them. 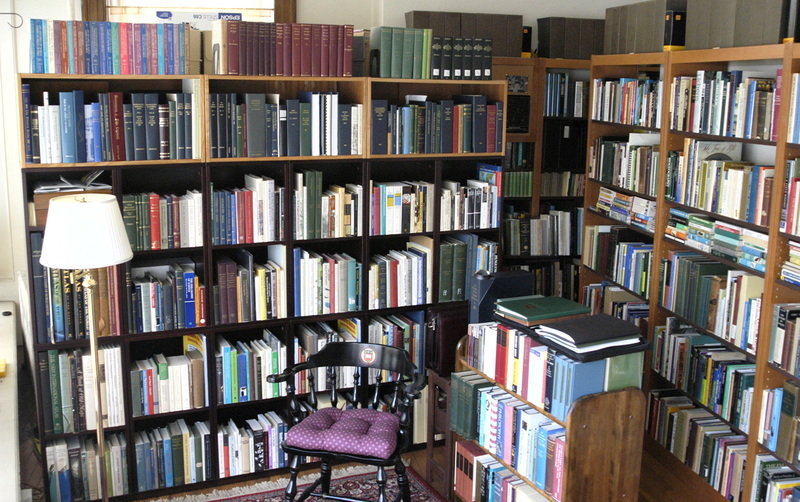 My library has been the only enduring structure in my life, and nearly all of the material on my two websites has been written using the resources of my library. Contributions toward recovery will be gratefully accepted.